One of the most important demographics is age. Generational segments are a big part of how we construct our audience personas. For instance: for many brands, the always elusive, difficult-to-understand group are millennials, whose buying habits and behavior have stumped advertisers for years. What if… you could do market research and audience analysis just for the age group that you’re targeting? What if you could research and analyze only millennials, only baby boomers, or only recent college graduates? That was the question that was driving us to create a new filter within our social listening tool that lets you do just that. As we continue to strive to make audience research easier, this new feature is incredibly simple to use. The age filter in the query builder allows you to choose an age range to search within so you get results from only that range. Infegy Atlas searches the billions of online conversations from all over the web to help you make sense of audiences everywhere. 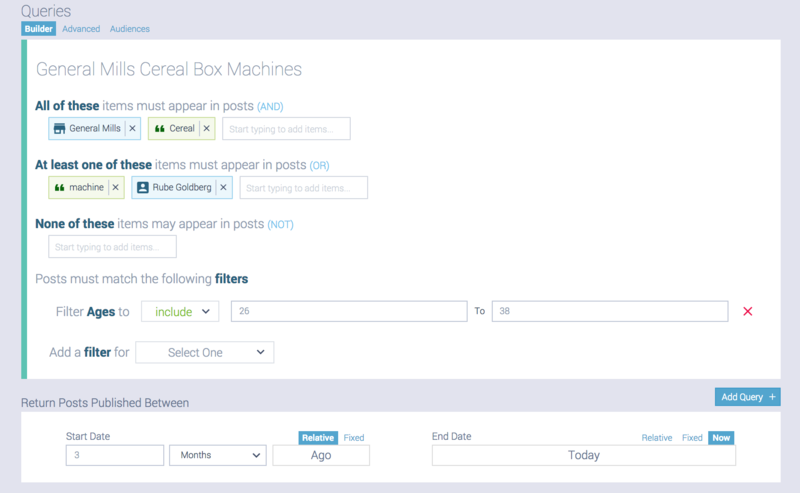 With this filter, you can refine your search to target a more specific audience. 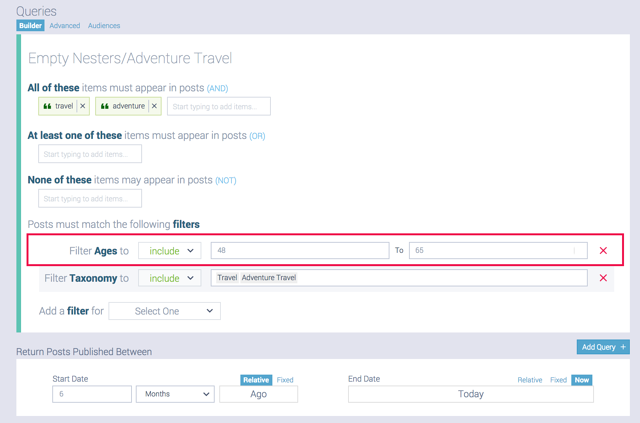 Other filters enable you to search certain locations, topics, entities or interests. 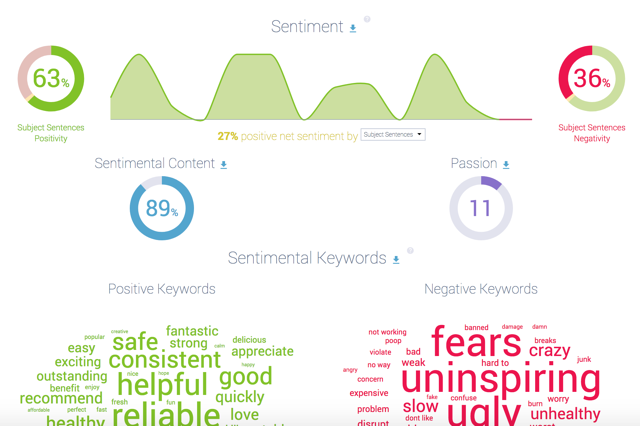 The brand new age filter lets you get even more specific with your search so you get the most accurate results for your exact target audience. 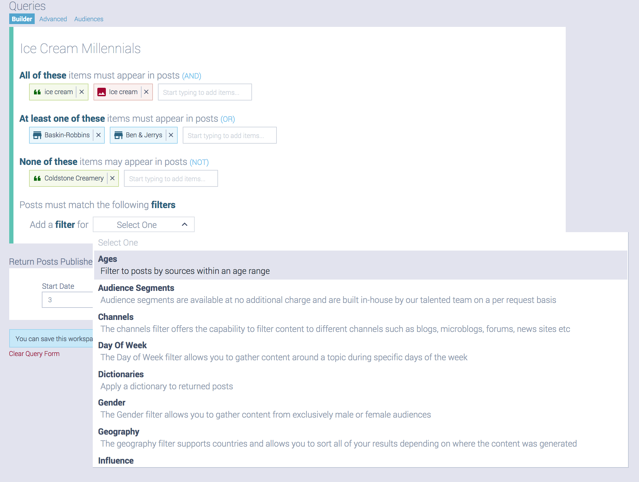 For brands who are looking to research and better understand millennials, the age filter makes it easy to narrow down the audience to a specific age group. Now you can easily search these buyer personas by their demographic information. A good example would be cereal brands, who have struggled to catch on with the millennial base. But now that the older half of this generation is having children, cereal and other members of the CPG industry stand a chance to catch these buyers again. Conducting research around this age group could help bring new insight into their sentiment, brand favorability and purchase intent. On the flipside, if these brands want to figure out what’s already working within a certain age range, they can measure the performance of their efforts by using the data within social listening research. This is just one of the many new capabilities provided by Infegy’s new age filter. Now you can enhance your social media listening research and understand your target audiences better with a few clicks. Ready to see it in action? Get a personal, customized demo of Infegy Atlas and we’ll show you what’s in store for you and your team: schedule a demo here.